Hello ! I'm David Gualtieri. I live in Seattle, Washington, USA. 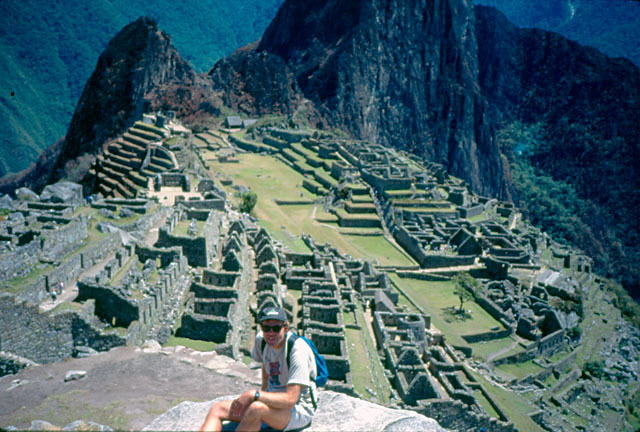 My website started in 1997 by documenting my trip to Peru and the experience of hiking the Inca Trail. As I made other trips, the website grew as a depository of my travel pictures. You are invited along in my continuing search to find my next "Favorite Place in the World". Past Favorite Places have included Italy, Amsterdam, the French Riviera, Thailand, Paris, Peru, Vietnam and India. There are so many interesting places out there to explore, my goal is to keep on moving around in hoping that I won't get stuck in one spot. So many places, so little time! I hope you find these pages useful for planning your next vacation or for general information on these very interesting parts of the world. Travel is fatal to prejudice, bigotry, and narrowmindedness, and many of our people need it sorely on these accounts. Broad, wholesome, charitable views of men and things cannot be acquired by vegetating in one little corner of the earth all one's lifetime. Feel free to send me questions, comments or corrections. Bookmark my site and enjoy your visits !